Exercise Malabar is a tri-nation naval exercise involving the United States, Japan, and India as permanent partners. Originally a bilateral exercise between India and the United States, Japan came into the group as a permanent partner in 2015. The annual Malabar exercise began in 1992 and includes diverse activities, ranging from fighter combat operations from various aircraft carriers through Maritime Interdiction Operations Exercises. Malabar Exercise 2017 is a week-long exercise involving the US, Japanese and Indian maritime forces and aimed at “achieving deeper military ties between the three nations.” The 2017 Malabar exercise was the 21st term of the exercise and conducted from 10 to 17 July 2017. The trilateral naval exercise featured 95 aircraft, 16 ships, and two submarines. The event is being held at a time when China has become more assertive outlook and increasing attempts by their submarines to venture into the Indian Ocean region. US, Japan, and Indian navies are currently carrying out the most complex naval exercise in the Bay of Bengal in an aim to crack down enemy submarines. During Malabar 2017, INS Vikramaditya, India’s aircraft carrier with its MIG-29 K aircraft and P 8 I reconnaissance aircraft are participating in this exercise for the first time. The Japanese maritime defense force has also sent its most potent weapon platform JS Izumo with nine anti-submarine warfare helicopters for the first time in the event. Though on record officers of the three countries insist the operations are all about interoperability and joint-manship to work together from humanitarian aid disaster relief to anti-piracy, scratch beneath the surface they admit the exercise is an attempt to send out a signal to an increasingly quarrelsome China. Navy officials dismissed suggestions that the exercise was aimed at China. 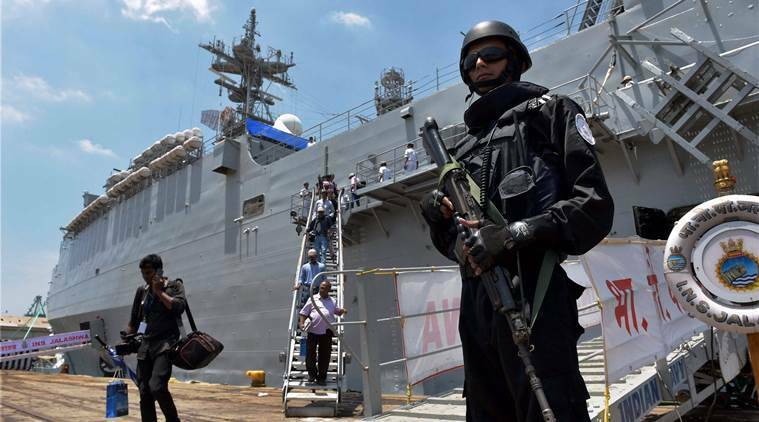 They maintained that the operation was to uphold freedom of movement, enforce the rule of law, and address common maritime challenges in the region. The U.S. Charge D’Affaires, Marykay L. Carlson said Malabar 2017 was a message for the whole world about cooperation, and not specifically aimed at any one country.